As a newcomer to living in the mountains, I am constantly looking for new places to enjoy being in this beautiful landscape. I found a park with a good trail about 15 minutes from my house and began taking my one year old for evening walks there. It was the perfect length for a walk and had a nice paved trail. As I took these evening walks, I fell in love with the way the light looked coming through the garden and the tall grass and the view of the mountains along this simple path. I thought this is it. This is where I want to take EVERYONE’s portraits. 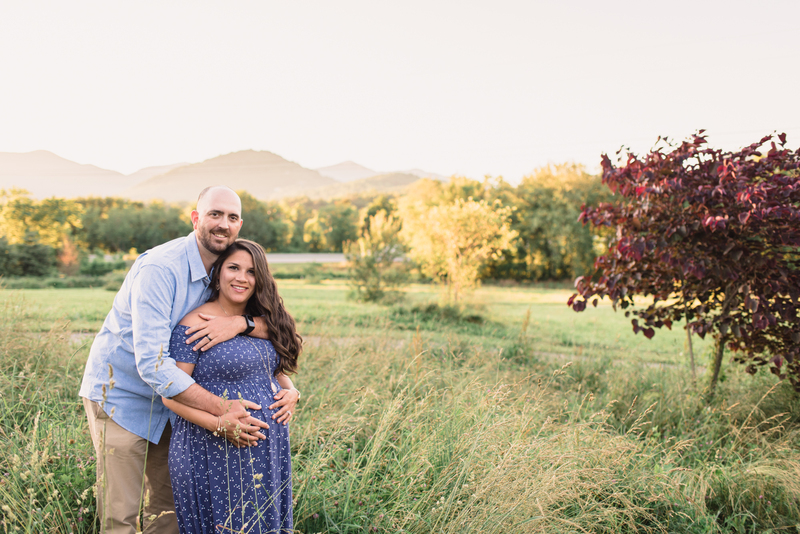 Sweet Gabby and her husband Paul drove up from Greenville, SC to this beautiful park in Black Mountain, NC for her maternity session. 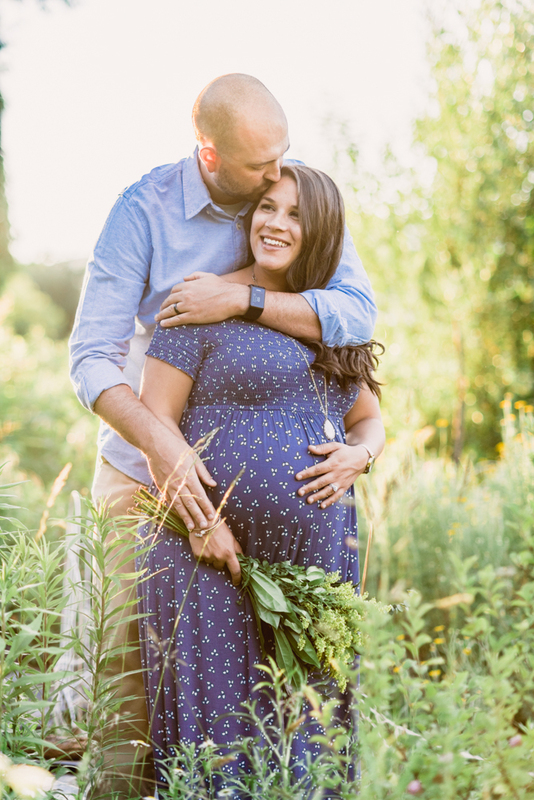 I usually recommend clients take maternity photos between 30-32 weeks because there’s less risk of missing it due to a baby arriving early and because mothers are more comfortable at this time while still having a lovely baby bump. 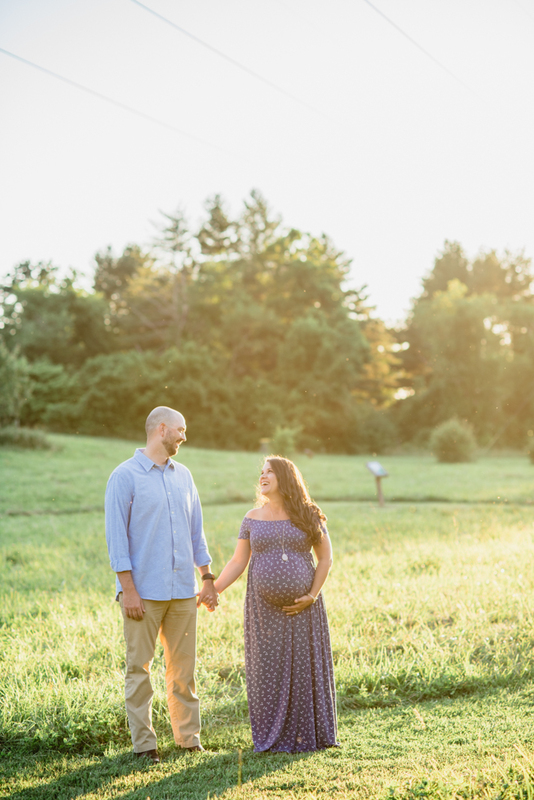 Well due to weeks of torrential downpours, we had to delay this session until she was 38 weeks! I’m so happy it worked out though because Gabby and Paul were such a pleasure to photograph. Their camaraderie and sweet dispositions are an inspiration. I hope that these photos express some of the beauty inside of them to the world outside. 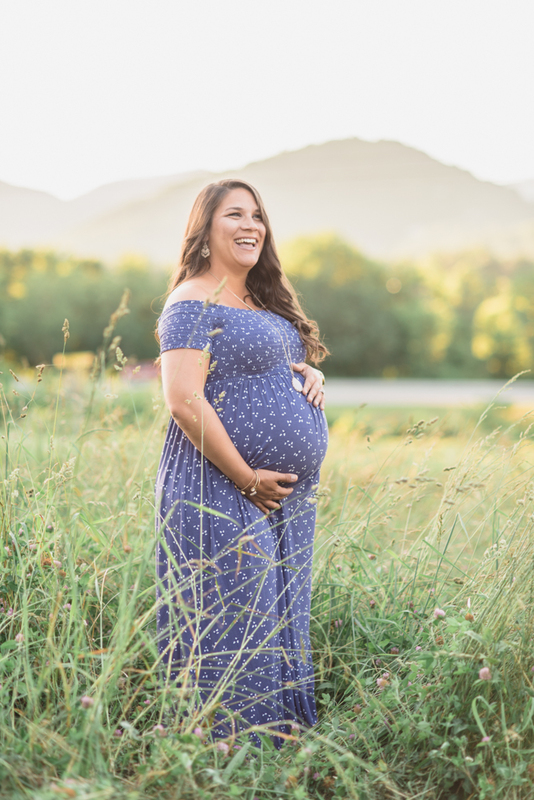 Coley is a photographer in the Asheville area, gladly serving families by providing them with tangible memories to save and share for generations to come. Her simple, organic style allows the images to be about the people in them and the connection between them rather than about props or backdrops. She loves helping her clients feel comfortable in front of the camera and creating an enjoyable experience from start to finish. You can visit her website here.